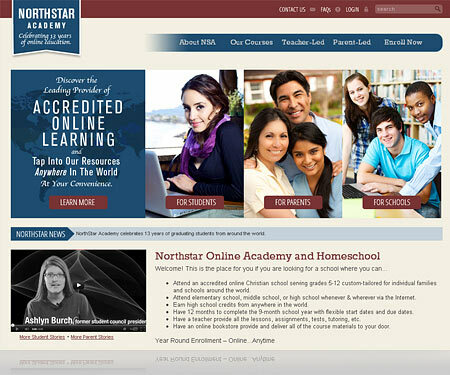 NorthStar Academy approached us about updating their original website design someone had done in the late 90s. We gave them a fresh, professional look that more accurately represents the calibre of their school and intergrated it with a very user-friendly content management system. In a day and age of e-mail, voice mail, snail mail and air mail and never getting to talk to a human being, working with SwansonStudios is a reminder of what REAL Customer Service should be. It is great to be able to work with a company that makes you look good and that you can rely on to make wise decisions for you. Finding a group of professionals that know the business as well as they do and still take time to communicate with their customers personally is exactly what will keep me coming back.